»Weight loss based on the genetic profile«! Approximately 80% of overweight cases have genetic causes; therefore they are triggered by unfavorable genes. For this reason, our company has developed a genetic analysis which is testing the most important genes and then creates a weight loss program that addresses precisely the innate genetic strengths and weaknesses. This is an already commercially available genetic analysis program, which was already sold more than 40.000 times. The aim of this study is to determine the factor by which a personalized, genes tailored weight loss program is more successful than a conventional standard program (for example by "Weight Watchers") or alternative offers (for example "MetabolicBalance"). Initial scientific studies have shown that an individualised, genetically personalised diet is up to 2.5 times more effective and can lead to better success. We are looking for approximately 150-300 study participants that meet certain criteria. We reserve the right to exclude individuals from the study. Instead of the usual price analysis of 400 €, the participants will benefit of the complete program for free. If you have previously carried out genetic analysis (for example the metacheck) we can compare the results for you. The registration form is available as PDF for download and can be found in the left column of this page. Please feel free to contact us by telephone or email if you have any questions. You will receive a document that explains how to reduce your weight in the context of a general nutritional advice (according to the German Institute of Human Nutrition). You should follow these recommendations for 3 weeks. After each week and at the end of the 3 weeks you will fill out a questionnaire on the experience and success of the program. In this phase you may/should fall back into your old habits for 2 weeks and can eat whatever you want and as much as you want. The aim is to create a similar starting situation for the third phase as for the first phase. 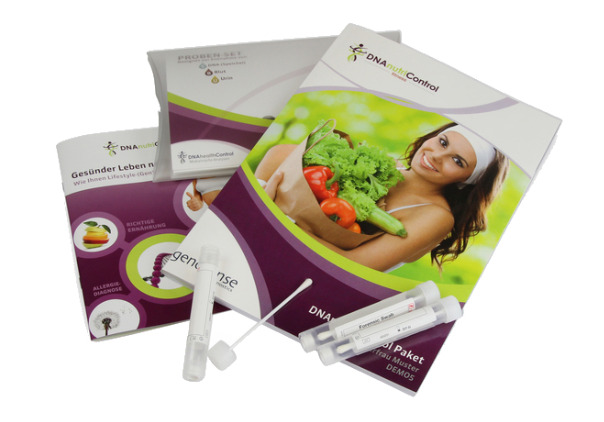 In this phase, you receive your genetic test result and the weight loss program tailored to your genes. You can choose how you want to follow the instructions (there are various possibilities). You will also receive several booklets in which you must answer some questions every day. At the end of the program we once again have a few questions about your experience. In addition, we need a testimonial/review at least 10 sentences long. This may be used for advertising purposes together with your name (but without your last name). You may be asked a few months later to answer a few more questions. Additional information: The flow can be arranged differently or be shorter for individual participants. More information about genetic testing can be found here!